Homeschooling allows me the flexibility to use a variety of different learning tools, at a pace that's just right for my preschooler. We use a lot of hands on manipulatives, as well as printables from various online sources. 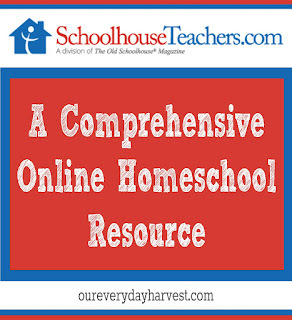 One of my favorite stops for our homeschooling needs is SchoolhouseTeachers. Some folks may remember me previously mentioning just how important this site has been for me, and all that it has to offer for my family. 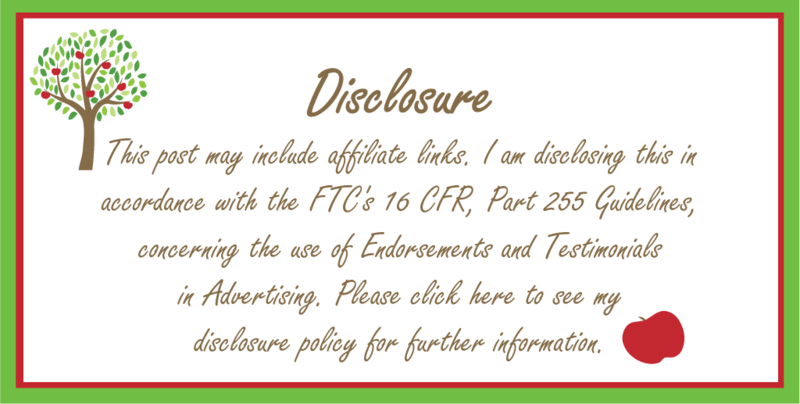 Just in case this is the first time that you're hearing about SchoolhouseTeachers, be sure to stop on over to read my previous post about this amazing resource that all homeschoolers should try, no matter what grade you're teaching–preschool all the way up through the 12th grade. I like to call it a one-stop shop for my homeschooling needs. The best part, having an Ultimate membership allows the whole family to gain access to the entire site with over 364 full courses for both students and parents. One my favorite things about SchoolhouseTeachers, besides the fabulous learning content, is that everything is self-paced. You just never know how the day is going to go. I personally like having the option to move through the course at a speed that's just right for us. We can work longer on one lesson, or even skip thought a few that we don't really need to work on. Whether or not you're already using a curriculum, the site provides a variety of supplemental materials to accompany your day-to-day lessons. If you are new to homeschooling, the parenting section offers courses and tons of encouraging articles by other parents who've been there. Of course, I can't forget to mention that members also receive access to the libraries over at World Book. Need an annual planner? They also have those–all free with a membership! Learning videos, meal planners, certificates of completion, and even access to Applecore's recordkeeping system, a membership gives you all of this and more! 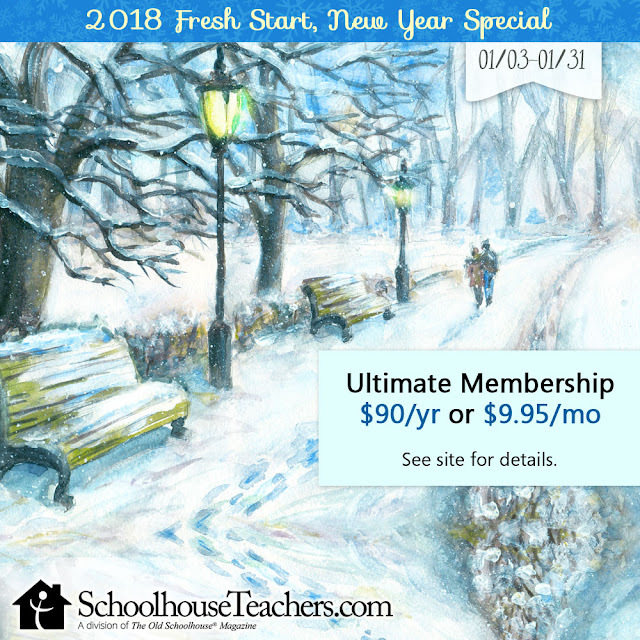 Throughout the year, SchoolhouseTeachers puts out special promotions and deals for new members. 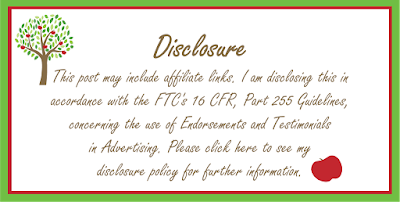 Just recently they announced a brand new promotion to ring in the new year. Instead of paying $19.95 a month or $179 a year for an Unlimited membership, new sign-ups can receive a deep discount of just $9.95 a month or $90 a year...wow...that's pretty much half off a yearly membership! What's even better is that this price won't change for you. Even if membership prices go up, you will still stay locked into this fantastic price for as long as you're a continuous member. This sale is going on through January 31, 2018. You won't want to miss the chance to check out what this one-of-a-kind homeschooling resource has to offer. I have only given you a sneak peak, here, but there's so much more...you just have to check it out for yourself! To take advantage of this amazing promotion and lock in the discounted rate, visit SchoolhouseTeachers.com. You can add the Unlimited membership (monthly or annual) to your cart. Enter promotional code NEWYEAR18 to receive an annual membership at only $90 for the entire year, or enter MONTHNEWYEAR18 for the monthly membership discount at just $9.95 a month.